Advance care planning discussions provide opportunities to discover important information about our loved ones and ourselves. Making the time to have important end of life conversations allows time for honest discussion, reflection and planning that is often not possible during times of crisis. Our life experiences and the passage of time frequently alter our personal perception on the topic of death and dying. It is for that very reason end of life conversations are meant to be ongoing dialogues with our loved ones. Having an Advance Directive in place is a good plan for everyone. 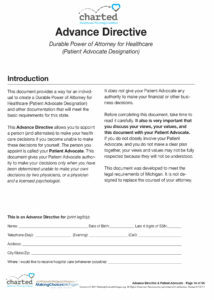 An Advance Directive enables individuals to express preferences related to pain and symptom management, patient advocacy, treatments desired or declined and resuscitation status if they should not be able to make their wishes known. The staff at Harbor Hospice are available to answer questions or provide support should you have questions or would like assistance in putting together an Advance Directive. There is no charge for this service. Please call 800.497.9559 to set up an appointment at our office or email us through our contact us system. Know of anyone needing this free service? Harbor Hospice staff are available the second Thursday of every month to assist with completing the Charted-Making Choices Michigan Advance Directive. 10:00am-12:00pm, Tanglewood Park AgeWell Office, 560 Seminole Road, Muskegon MI 49441. Please call their office at 231.733.8643 to schedule an appointment. 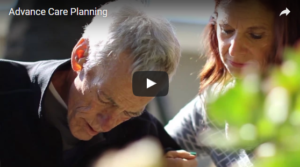 The Charted Healthcare Planning Collaborative consist of multiple community and healthcare organizations whose goals are to educate, create awareness, and give tools to communities regarding advance care planning. This long standing Health Project collaborative is formally known as the Muskegon End of Life Coalition. For more information about the free screenings, please contact the Harbor Hospice at 231.728.3442 or 800.497.9559. You can also visit our website CLICK HERE.